Riding in the Toy Run! The Toy Run Ride is free! You can dress up your bike if you wish. Don't impair your ability to safely and legally operate your motorcycle in any way. The earlier you arrive, the closer to the front of the long line of motorcycles you will be. Staging is done in the parking lot directly in front of the entry gates of the amphitheater. This is the north side of the amphitheater. Turn north on Sansburys Way from Southern Boulevard and go approx. 1/3rd mile. Turn left and go approx 1/4 mile to left turn onto roadway running on west side of amphitheater. You will be guided into place by volunteers. Obey their directions please. 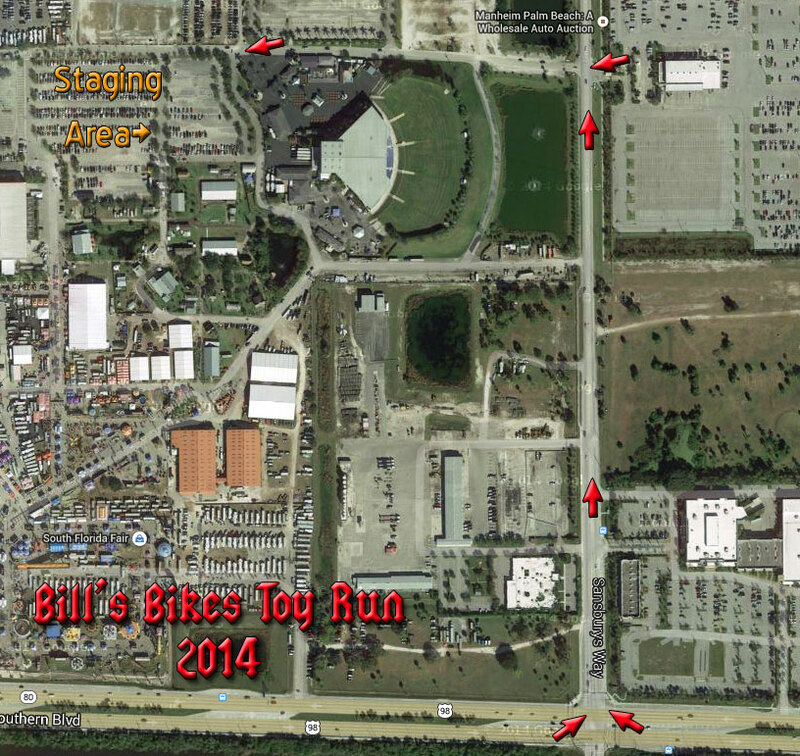 There will be an area by Amphitheater gates where you can buy Toy Run Tshirts, perhaps get free coffee and you may be able to purchase a ticket for $10. The Run will begin at Noon. Santa and Sheriff Bradshaw will lead the procession out of Fairgrounds. This is a full Police-Escorted Run. Follow any orders you are given by our Police Officers please. Bikes will fall into line according to when they arrived into staging area. The Volunteers will direct you when it is your turn to move. Follow the bike in front of you. Do not break formation during the ride. If you need to stop along roadside for an emergency, you can re-enter the procession at the end. 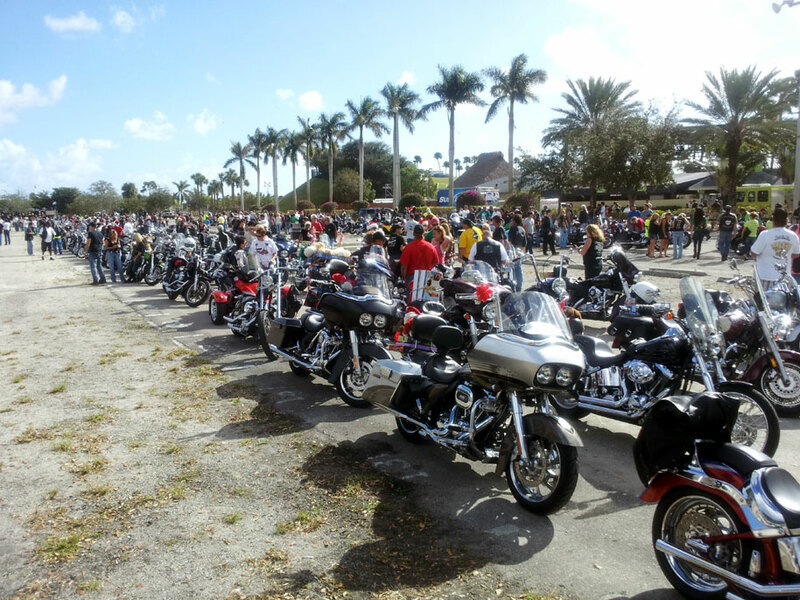 There is designated motorcycle-only parking for Run participants at Dreher Park. When you arrive at park, Volunteers once again will guide you to where your parking area is. Park your motorcycle, secure it and walk to admission gate area. We have Volunteers & Police Officers watching the motorcycles from the Run's parking area. Enjoy your day! Your support of the children is much appreciated. Click Here to get on our mailing list so you can be advised of future charitable events during the year!